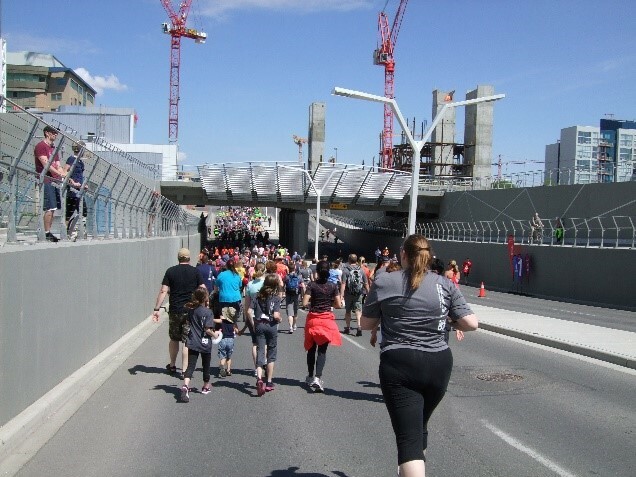 On June 1, our Canadian Humanitarian team participated in the Calgary Marathon. The team consisted of Carol Pierson and her two boys, Quinton and Braedon. We did have 4 other team members who were not able to make it due to injuries. 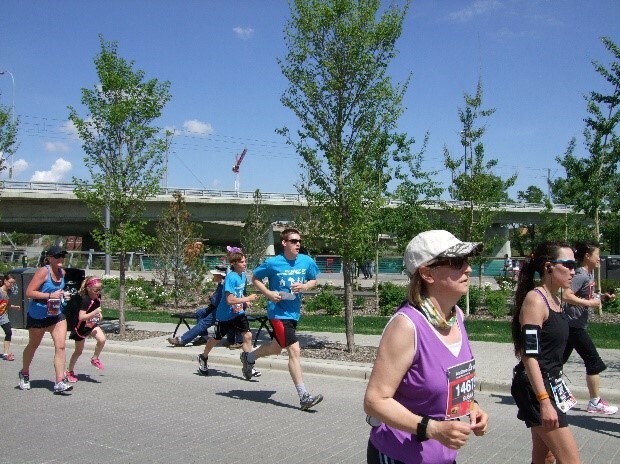 Suzanne couldn’t run, but she still went and took pictures, and she holds the title for the top fundraiser from the team. 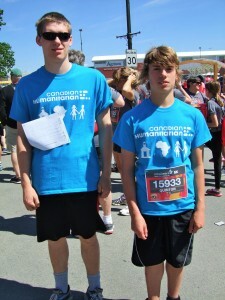 Quinton and Braedon ran the 5K marathon along with their mom, Carol who completed the race via a combination of running/walking. 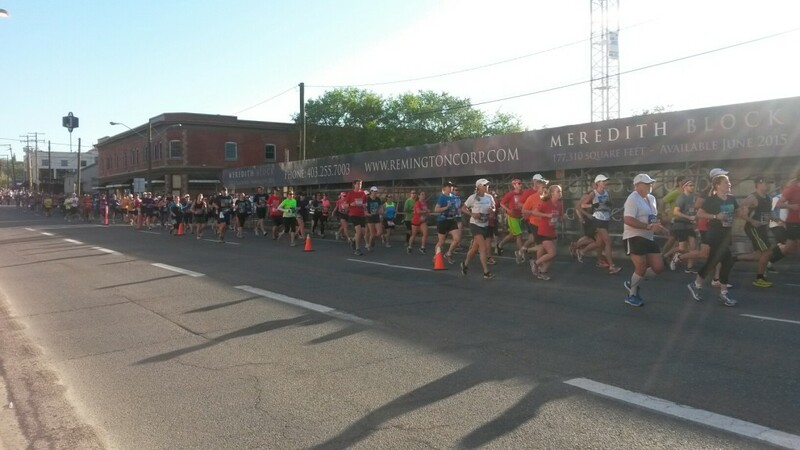 The marathon was a first time experience for the Pierson’s and they were amazed at the number of people there. There wasn’t a hope of finding Suzanne in the crowd due to all the people there and all the different races starting at different times. Our Canadian Humanitarian t-shirts stood out among the many grey marathon shirts and we were proud to represent a great cause. If you would like to donate to our efforts, you still can! 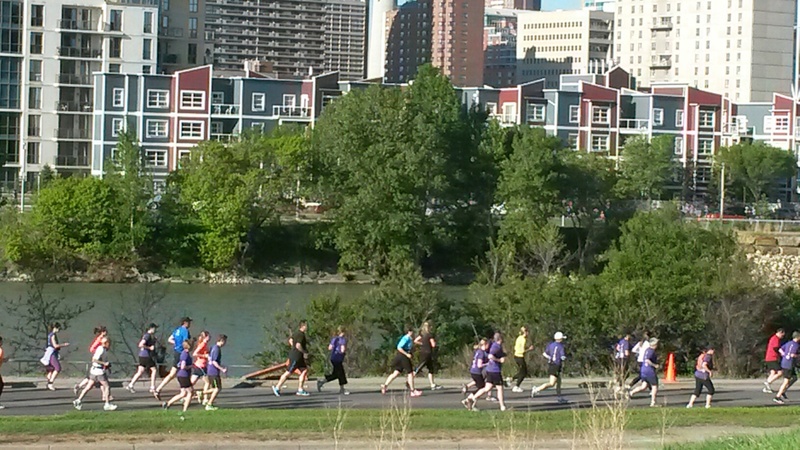 To donate, go to the Calgary Marathon website and across the top, select charity challenge. When you scroll down, you will see instructions on how to donate. Of course, you can always phone the office to make a donation as well…. 403 527-2741. We appreciate your support!